With the negative press around court decisions against patent holders, you might have heard that the patent market has collapsed/is collapsing. So, is it? In short, no. Looking at the first half of 2015 compared to the first half of 2014, patent package sales are up 39%. 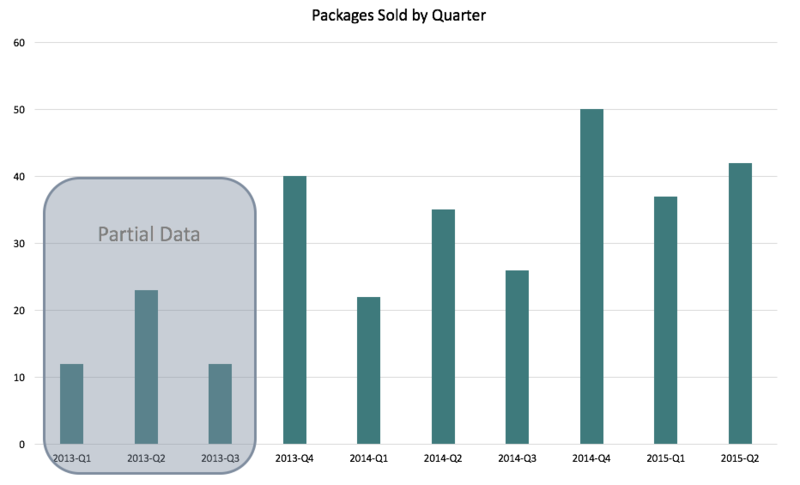 At the ROL Group we track the packages for sale on the brokered patent market in our proprietary database and analyze the USPTO assignment database each quarter to identify sales of unsold packages from the past few years. We identified 42 package sales with the transaction occurring 2015 Q2. In this post we will share the top buyers and sellers from the quarter and look at sales trends. It was no surprise that Intellectual Ventures continued to be a top buyer, this time buying as III Holdings 6, LLC. But in this case, all of the purchases we found were bought from Xerox, this quarter’s top seller; it’s likely that IV created a bundled deal to purchase all of the Xerox packages. RPX, the other top package buyer seems to have focused on smaller packages than Intellectual Ventures did and purchased their 7 packages from 6 different companies. Nineteen (19) additional sales were found that occurred in 2015 Q1. As far as the sales trends are concerned. We are continuing to see year-over-year growth sales with every quarter having had more sales than the previous year’s corresponding quarter. The average year-over-year growth in the past four quarters almost 40% (compounded quarterly sales increase of 8.6%). It is important to note that the average size of packages has been decreasing (See our paper on the 2014 Brokered Patent Market) and, therefore, an increase in packages sales does not necessarily mean an increase in total asset sales. For more information about the qualities of packages that sell, take a look at the PDF of our analysis of the 2014 brokered patent market in IAM Magazine and keep an eye out for our analysis of the 2015 market to appear in IAM Magazine early next year. Methodology update: We have updated our process to use the executed date of the assignments at the USPTO, rather than the recorded date, based on the updated USPTO assignment site. This increased our data accuracy, but may cause some difficulties in comparing with prior reports.